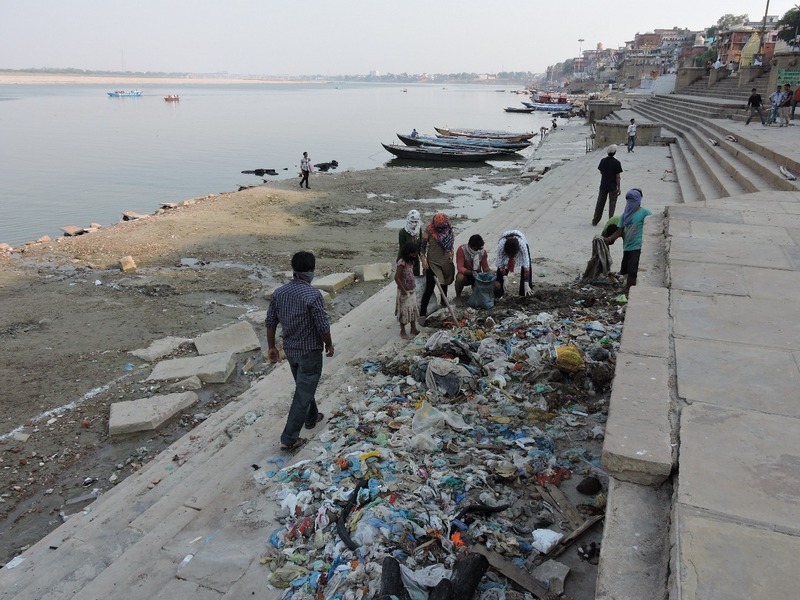 The Swacch Bharat Abhiyan (Clean India Mission) initiated by Prime Minister Narendra Modi have attracted many celebrities and politicians, but when two young women – Temsutula Imsong and Darshika Shah – decided to take up the task of cleaning Prabhu Ghat and Babua Pandey Ghat in Varanasi, people would hardly have imagined that they will set such a high benchmark that it will be quoted as an example for years. Imsong’s Mission Prabhu Ghat came into existence when a casual boat ride turned into a bad experience due to the unbearable filth and foul smell on the ghat. The experience was so bad that she decided to change the scenario by cleaning the ghats. Temsutula Imsong works with Sakaar, a voluntary social organisation which promotes the development of rural communities. OpIndia.com team got a chance to interview Temsutula and discuss her journey. 1. 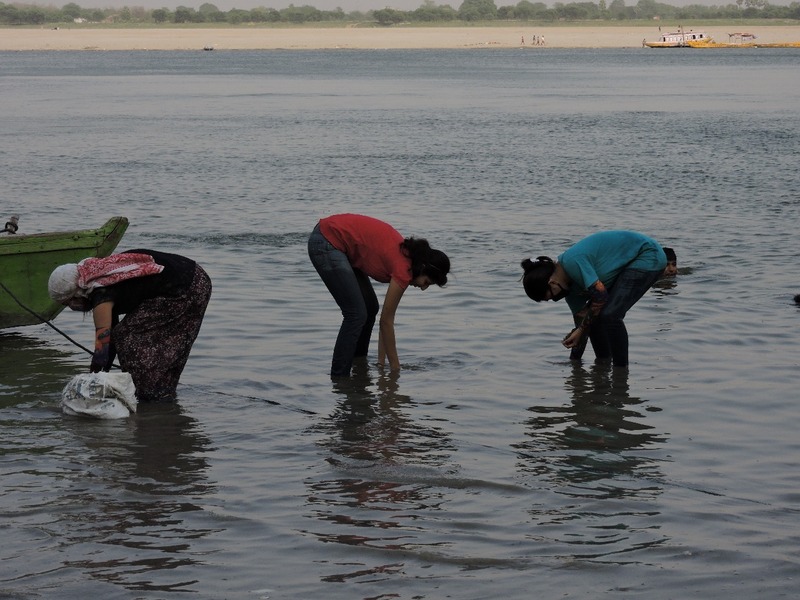 We have read a lot about your Ganga Ghat cleaning project, but we would love to hear a brief from you? As you would have read, the mission started with a boat ride. It was appreciated by Hon Prime Minister Narendra Modi ji also. This inspired us a lot. We wanted to see how much more could we push ourselves, and what maximum could be achieved by us. This made us take up Babua Pandey Ghat which is commonly known as Dhobi Ghat. This was the second dirtiest ghat after Prabhughat/Chet Singh Ghat between Assi Ghat and Dashashwamedh Ghat. 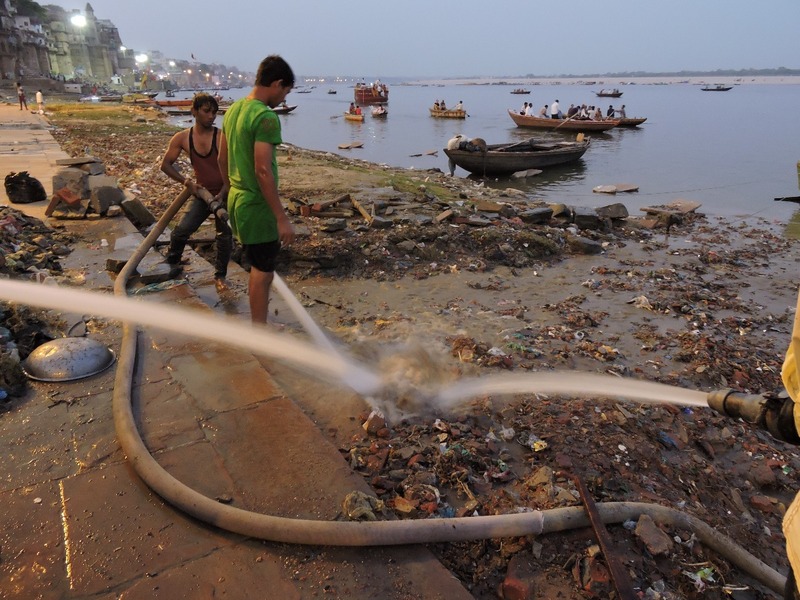 If you Google “Dhobhi Ghat + Ganga + Varanasi”, the images which you get will convey filth and dirt on the Ghat. When we asked some locals about our project, some elderly people said that IT WAS IMPOSSIBLE to clean this ghat because it had never been cleaned before in the past 30+ years. This motivated us to take it as a challenge. We decided to take it up. It was difficult, near to impossible, we had to clear the every possible kind of garbage. However, when we started, Ganga ji was receding. It was a great help, we were able to clear the steps which were buried in silt and garbage. One and a half month later what we see satisfies us. 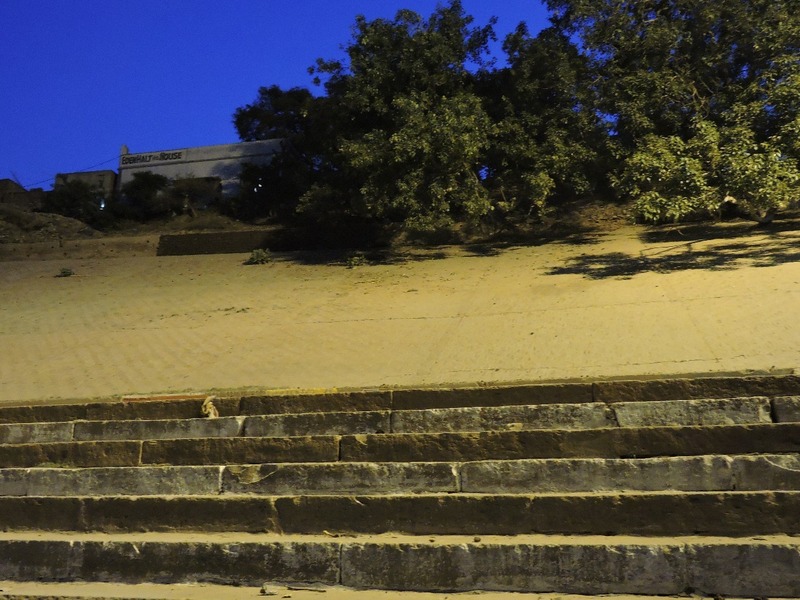 We are proud at having been able to transform this Ghat into a beautiful place to sit, swim or play. This wouldn’t have been possible without the grit and determination of the TEAM #MissionPrabhughat Kids, namely – Pawan @p_pavanraj, Harshit @harshit_4215, Shubham @tiwarishubham03, Rohan @RohanTripathi10, Shubham Pandey @ishubhamm, Shreyansh @Shreyanshvns, Vineet @vineet_verma1, Darshika @Darshikashi, Ayushi @ayushi_shukla06, Anuraag @anuraaag007, Satyam, Ashutosh @ashutoshdixit84, Shreyas @shreyash01, Vishal @Vishaallllsingh. 2. There are so many issues affecting India. What motivated you to join the Ghat Cleaning project? 3. You grew up in Nagaland. What motivated you to come to Varanasi? I was working in Delhi and was passively associated with Sakaar Sewa Samiti (sakaar.co.in). The organization was taking excellent initiatives which were simple yet motivating. I decided to quit my job and move to Varanasi and work full time with Sakaar. 4. Did your religious or spiritual beliefs play any role in your enthusiasm for Ghat cleaning? By birth, I am a Christian. Religion for me is seeking God in Goodness. It makes me appreciate whatever is good. I have been raised in way that I find it easy to respect all beliefs. Considering this , it was not very difficult to work towards the cleanliness of Ghats. Ganga ji is an inspiration in herself. I could relate to her in the way she quietly flows by. 5. You must have faced many challenges. What kept you moving during toughtimes? Yes, there were challenges which threatened to undermine our will also, but then three things kept us going. First– the amazing resolve shown by the Team #MissionPrabhughat kids, they will never back down, never give up and kept telling me that don’t give up, we are with you. Second – Prime Minister Shri Narendra Modi ji’s appreciation was an inspiration as well as a big responsibility. His mentioning us in the Toronto speech gave the much needed impetus to the team to go beyond good and do superlative/impossible. And this is was the task at Babua Pandey Ghat was which we managed to accomplish. Third – Last but not the least, the Twitteratti. 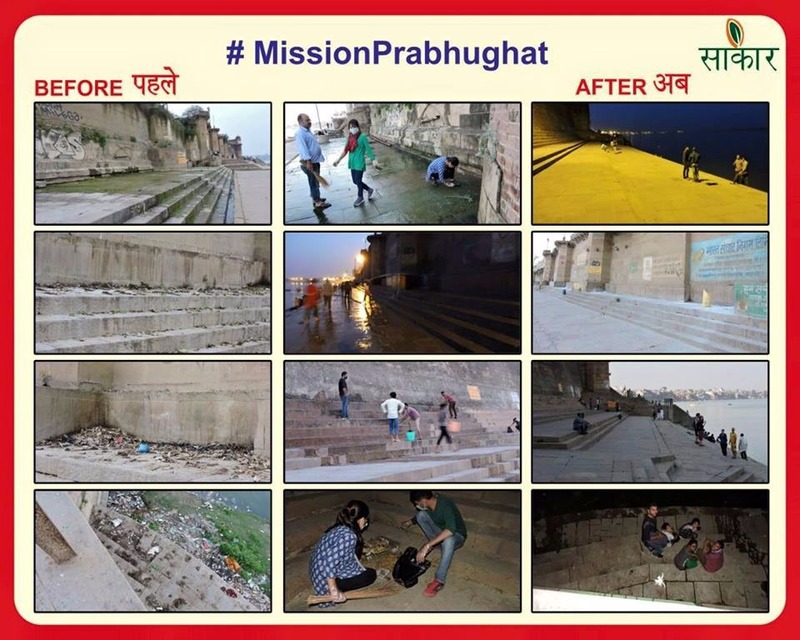 The Tweets that I kept getting on the #MissionPrabhughat tag were very motivational and kept encouraging us to raise the bar. These tweets were coming from all over the world conveying the appreciation and respect for the effort and we were bound to live up to expectations as the reciprocation. 6. How do you see environment and society evolving with Ghat Cleaning? Environment – We still have to start thinking in terms of being at peace with nature. We must not force our solutions and measures on her and Society – We still have a long long way to go , but the good thing is that attitudes are changing. 7. Did you get some support from politicians or corporate? We certainly had many offers, but thanks to some close friends and well-wishers that we were able to manage everything within our own resources and didn’t need other help. 8. What are some next steps you will plan to follow? We are going to stick to Prabhughat/Chet Singh Ghat and Babua Pandey Ghat and get these places firmly on Varanasi tourism Map. And we will evolve #MissionPrabhughat into a platform to Kickstart initiatives that promote practices to benefit the people who are often ignored and have little or no resources. 9. There must be many interesting incidences during the first phase of your cleaning project. Please share some of those with us? Regular visits to Ghats have made us a part of the boatmen Family. We are regularly invited to attend weddings, ceremonies etc. It wasn’t long before we started searching the “menu” and attended the ones which had the best food spread. We used to be very hungry and this was a welcome break. We started the practice of handing over the bucket to clean if one relieved himself at the Ghat. It received a nice response. 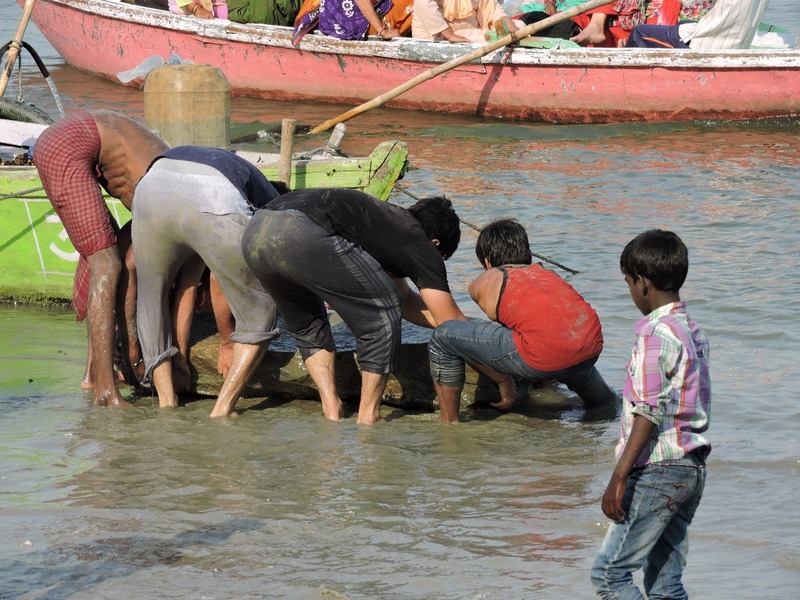 Anyone found relieving himself on the Ghat was made to clean that using Water in the bucket we gave. 10. How would you like other interested people to join your mission? Joining doesn’t need any enrolment form, they could simply come to Prabhughat or Babua Pandey Ghat any time after 04:00 PM and join us. If they couldn’t, they can start a similar initiative ion their own place and work for a cleaner India. 11. Any suggestions to the readers from your side? Swachch Bharat has to be turned into a massive mass movement. Only then, we could see the results and feel the change. This will be possible only if we get involved and don’t just remain spectators. If you see people doing anything for any social cause, don’t just stand and watch; if possible, ask them if your assistance can help their initiative.